CommLinkTM has long been the leading, highest reliability driver-centric mobile solution in the industry — and … it works! 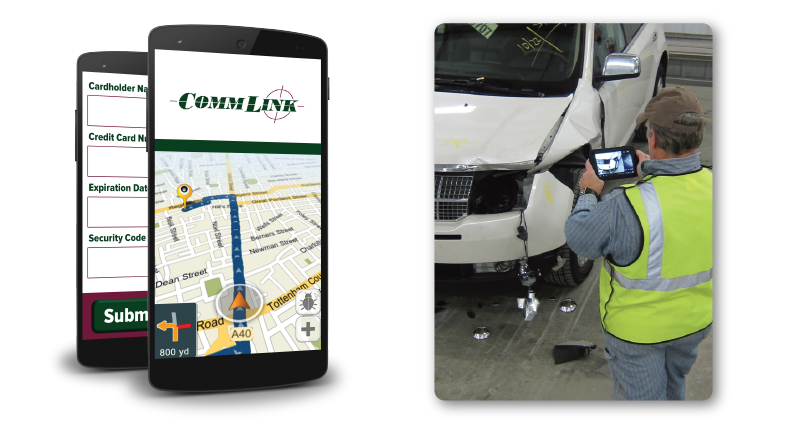 Drivers get all the call information and navigation to incident and destination locations. They can take pictures, collect signatures and pre-configured rate information from Dispatch. Drivers can also process credit cards, on-site — directly with CommLinkTM.